Zumba is a good activity for everyone cause it helps you stay fit and it also will makes you happy with all the dance and friends that you make during the event. Charity Zumba by Furby Moms are held in conjunction of this pink october months; the breast cancer awareness months. 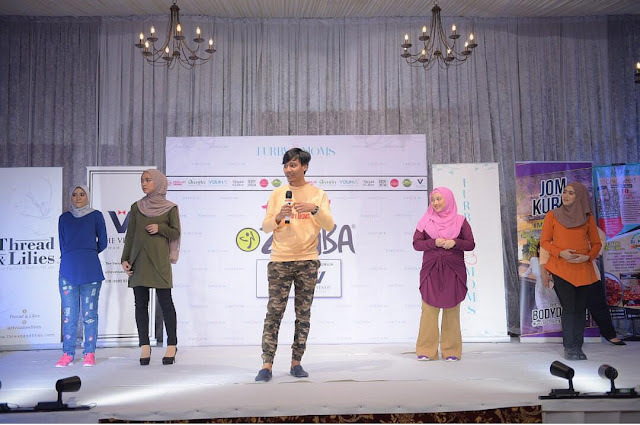 MAKNA is one the main beneficiary of this event and that is why the events was held for LADIES ONLY! Moms and baby are most welcome during this event you know? 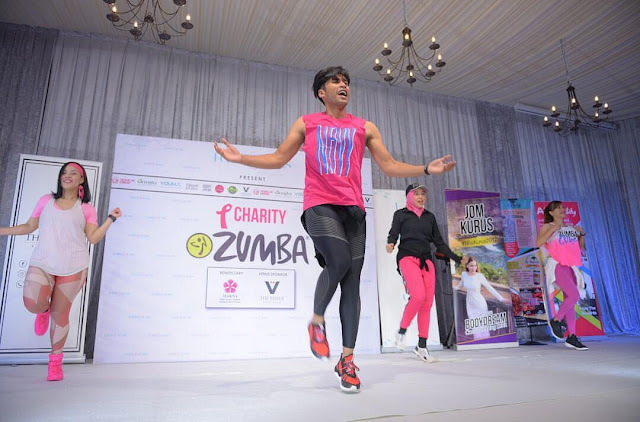 So back to our Zumba event, this event was held at The Venue Shah Alam. 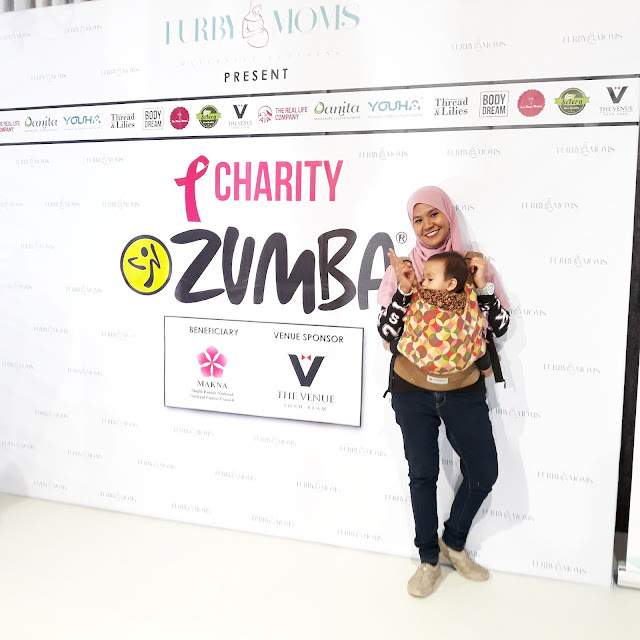 The Venue is a good place to have this Ladies Only Zumba session because it close place and because Furby Mom's opened it for Mommy with Baby this place is suitable because its quite cosy and have air cond in it. Malique was definitely cool with it and behave nicely during the event. 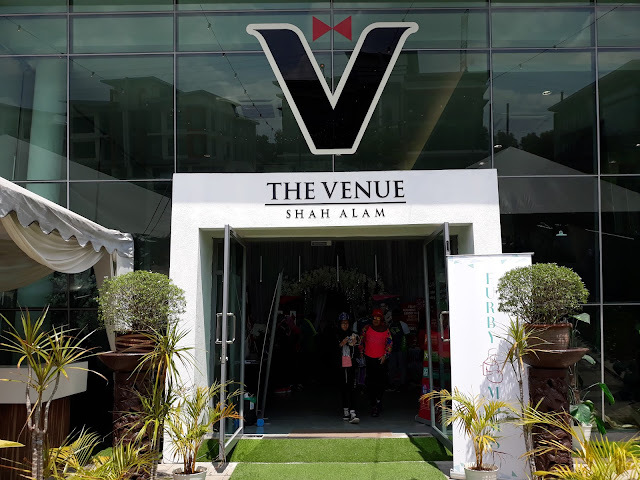 The Venue Shah Alam actually cater it place for any event you would like to organize from wedding, birthday party, aqiqah or event launching ceremony. The Zumba sessions starts after a short speech by the CEO of Furby Moms. She was grateful with the event that day and happy after a few times trying to make it happened the event was succeed that day. Apart of the energetic Zumba Instructor that day, the VIP guest is one of the famous dance choreographer Linda Jasmine along with her two beautiful kids Cleopatra and Ratu. Both was so cute. Me with Linda Jasmine and her beautiful kids. 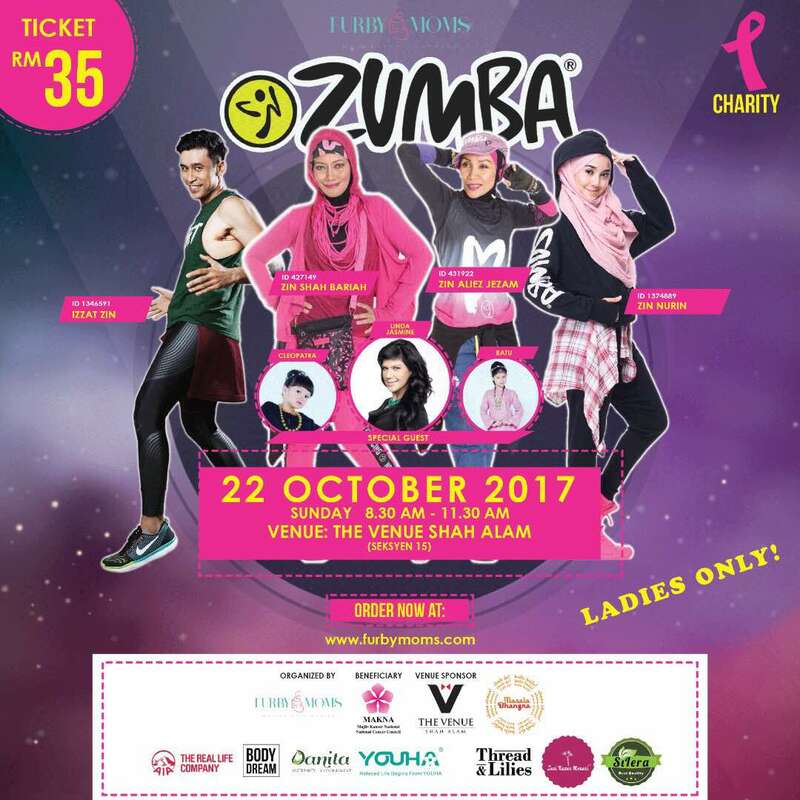 After the non-stop sweat Zumba session by Zin Shah Bariah, Zin Aliez Nizam, Zin Izzat and then it is LADIES ONLY session by Zin Nurin! Zin Nurin swag the floor with her moves when all man are not in the hall and all the ladies are into it too. During the session there are no social posting or recording allow cos its privacy.The session definitely burn up your calories if you actually follow all the step that day. Then the event continue with a the special performance by Irene Catalina. She sang two songs which is Ajari Aku and I will Survive. Yeah yeah! Super sweet! 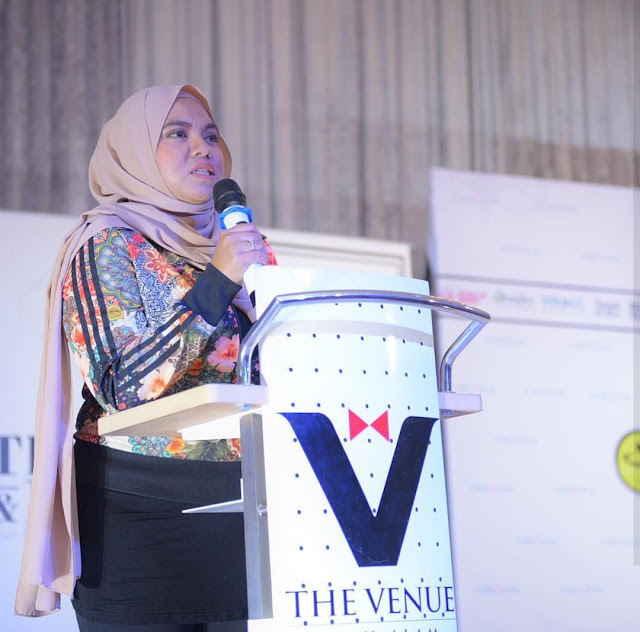 Then the event continue with a speech by the vice of MAKNA and last but not least the second most awaited time is the lucky draw sessions. There is more than 30 winner for the lucky draw sessions and I saw they won so many things from the baby stuff, clothes and also the RM1500 cash vouchers sponsored by The Venue Shah Alam. Cool right? Me and my blogger we also in the running to win but unfortunately we were not..haha Okay maybe next time right? Furby Moms marks their successful first event for this Zumba event. During the events they also presents their latest collection to the participant. 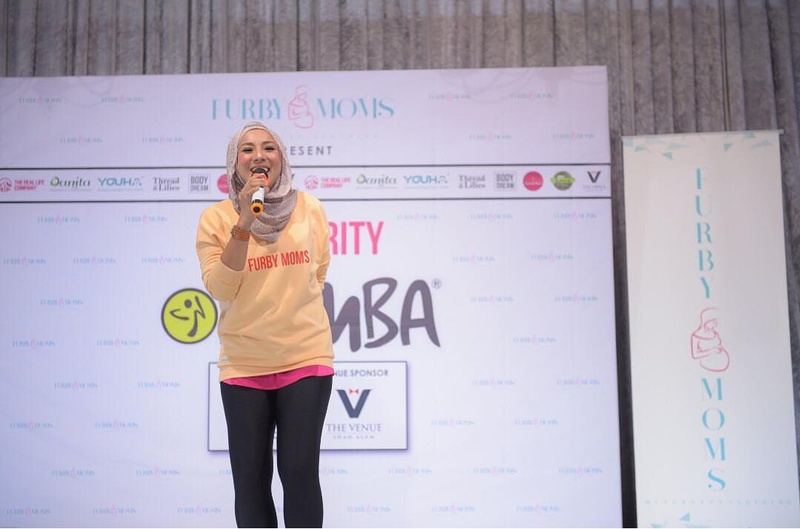 For your information also Furby Moms is successful clothing for mommies from the pregnant to nursing friendly clothes. Since its inception in 1994, MAKNA has been providing help and support to cancer patients. MAKNA has been committed and resilient in all these years in reaching out to cancer patients in all parts of the country. 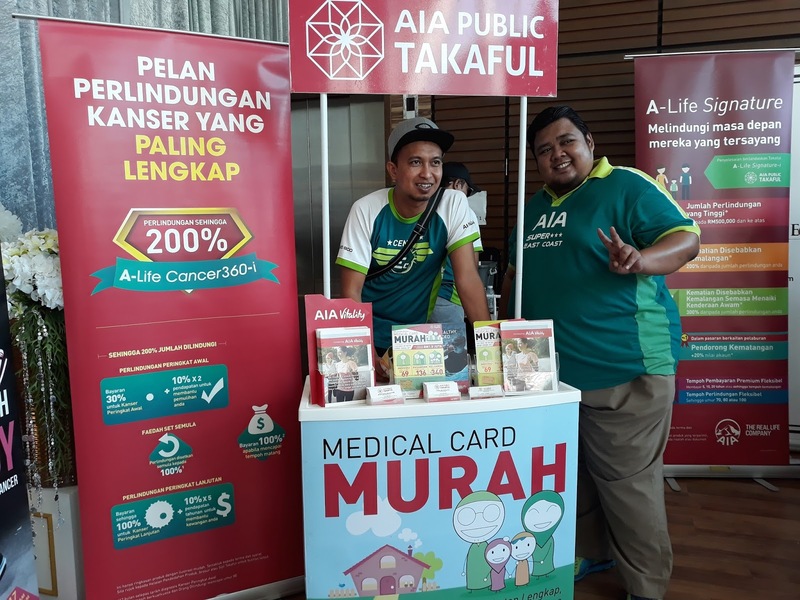 The assistance and services rendered to urban and rural communities have brought a better understanding of cancer and its related issues among communities everywhere. 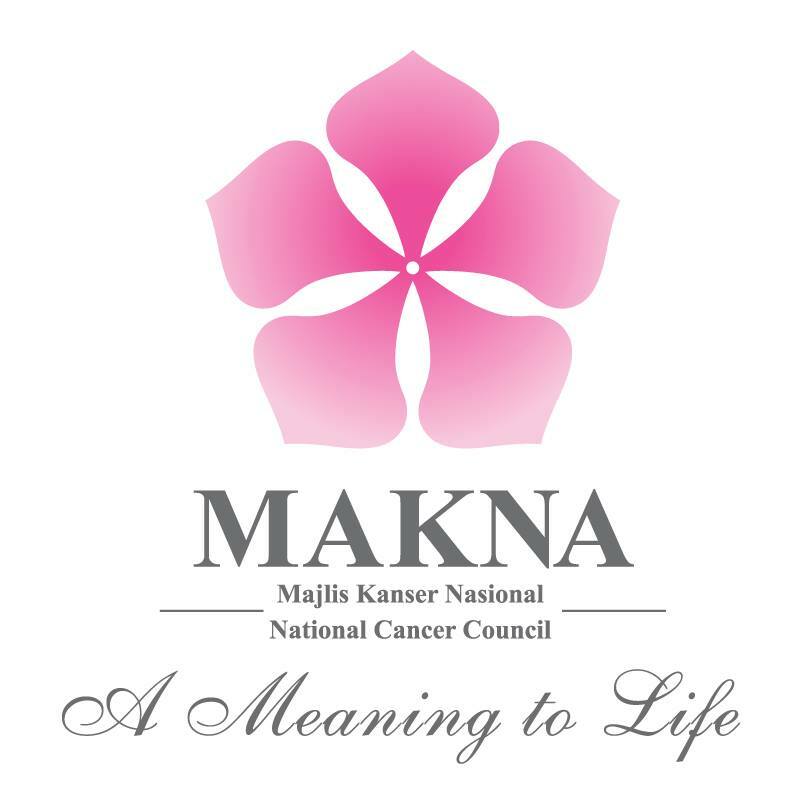 Today, MAKNA has established a strong track record in supporting and assisting cancer patients in various aspects, socially and economically. 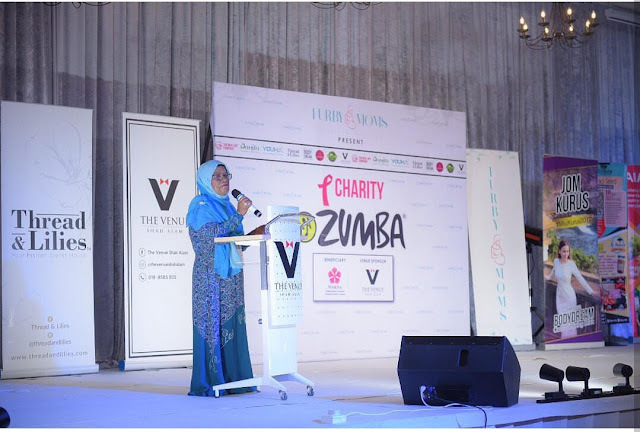 Tak pernah berzumba sebab malu dan tak pandai nak menari. 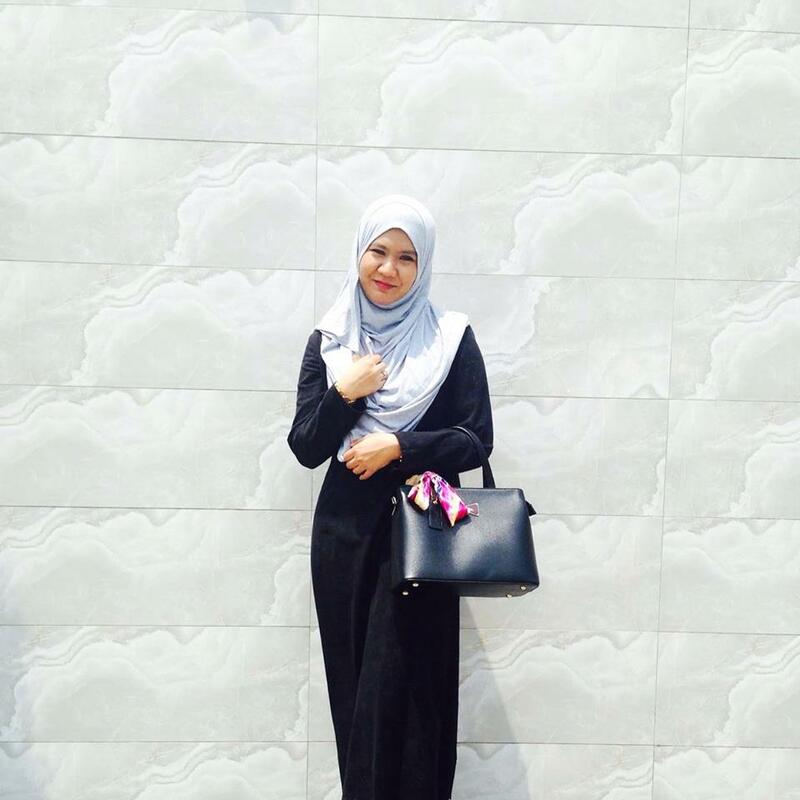 Takut je sorang diri tak dapat ikut coach. Bagus event yang promote kesihatan. Nampak fun dan best! 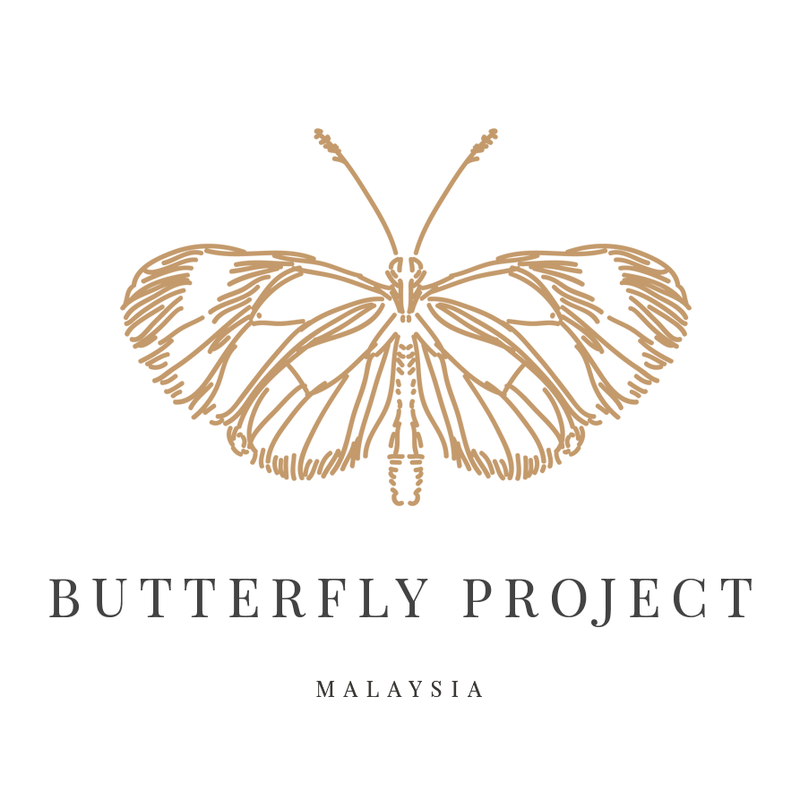 Wah best juga event ini, boleh lah mak mak semua turun bersenam sambil buat donation.